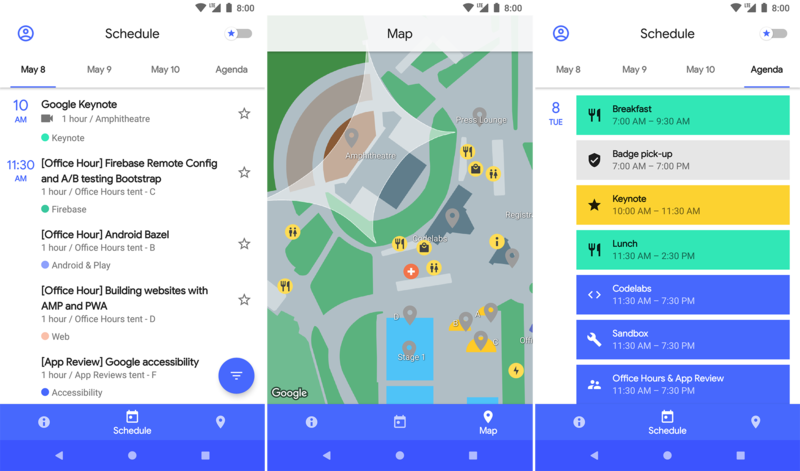 Google says the I/O 2018 app represents a complete rewrite of the app. 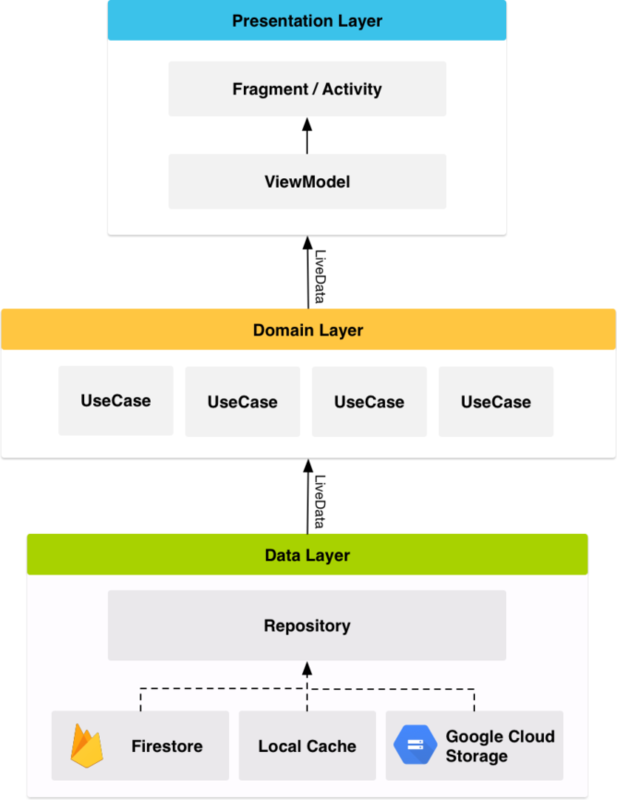 This year, it moved from a ContentProvider + SyncAdapter architecture to one based on Architecture Components. It's all in-line with the Android team's current recommendations for developing modern apps on Android. It's more modular, and Google used the Kotlin language for the rewrite. You can see the general overview of the app's architecture below. Google announced material Theming at I/O 2018, so many of those new components and tools weren't ready for use in the I/O 2018 app. However, the developers still snuck in a few elements from the new Material style including the bottom app bar with inset Floating Action Button. Interested parties can get the source code on Google's GitHub.